All players that join Spin Fiesta Casino using the mobile version get rewarded with bonus spins on amazing and highly rewarding slot machines. 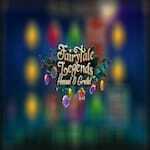 Create an account at this online casino, activate it, and you get 10 No Deposit Free Spins on Fairytale Legends: Hansel & Gretel. Use the code TALE10 when you register and then start spinning the reels and collecting the prizes. The first deposit you make will bring you 25 more spins on Panda Pow. In order to get these, you have to use the COOL25 promo code. Another 50 spins on the Aloha! Cluster Pays slot machine will be yours when you make your second deposit. 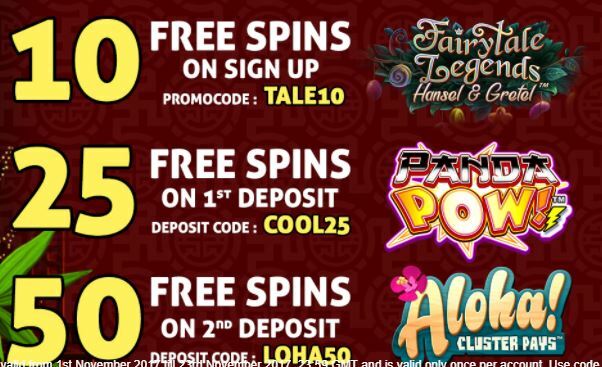 Use the LOHA50 code and start having fun and winning big. All the winnings you make using the no deposit bonus will be awarded to you as soon as you finish using all the spins in the package. The initial winnings, however, cannot exceed £20. The spins will be valid for 7 days, whithin which you have to meet the wagering requirements. The games run perfectly on any mobile device, so start playing today and have lots of fun winning big!